Profits at the largest U.S. oil company crashed by 59% during the second quarter to just $1.7 billion. That may sound like a lot, but it's actually the tiniest bottom line for Exxon (XOM) since 1999, just before the company merged with Mobil. 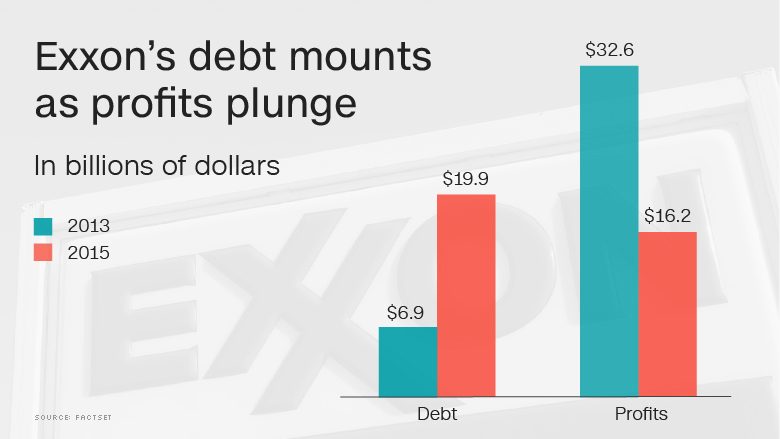 The scale of Exxon's latest profit slump caught Wall Street off guard. Analysts had predicted the oil company's profits bottomed out in the first quarter, when profits also hit a 17-year low. 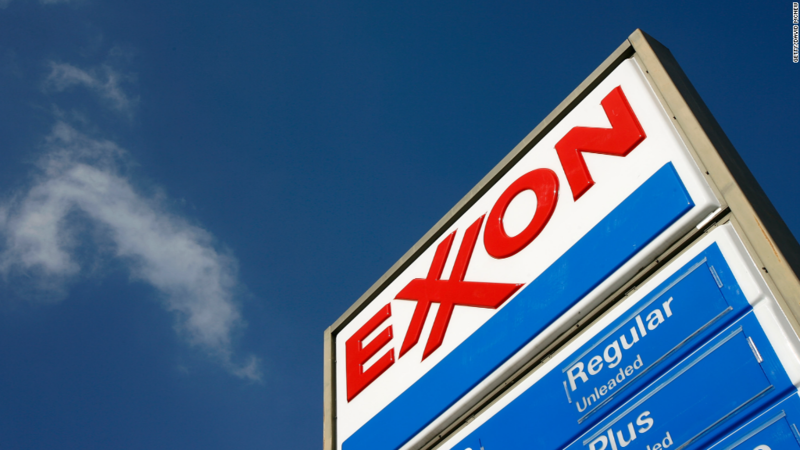 Exxon stock slumped 3% on Friday following the earnings miss. All of a sudden, Exxon may soon get passed in market value by both Amazon (AMZN) and Facebook (FB). Exxon's market cap has shrunk to $363 billion. That's barely above the $360 billion market value sported by Amazon, and the $357 billion of Facebook. Exxon isn't the only oil giant hitting the skids. Rival Chevron (CVX) fared even worse, suffering a loss of $1.5 billion during the second quarter. It's the third-straight quarterly loss for Chevron, America's No. 2 oil company. The Big Oil numbers come at a time of increased nervousness in the energy industry. Oil prices crashed to 13-year lows of $26 a barrel in February, but then raced back above $50 a barrel in May. Now prices are losing altitude again, with crude nearing $40 a barrel. Chevron boss John Watson said the company is in the midst of an "ongoing adjustment to a lower oil price world." Rex Tillerson, the CEO of Exxon, acknowledged the slumping results "reflect a volatile industry environment." Exxon, like other oil companies, is responding by hunkering down. Capital expenditures, known as "capex," dropped by 38% during the second quarter. That means Exxon scaled back on some of the expensive drilling required to find and extract oil. Exploration and drilling profits plunged by 82% last quarter at Exxon, led by a loss of $514 million in the U.S.
Phillips 66 (PSX), the favorite oil company of legendary investor Warren Buffett, also reported downbeat numbers on Friday.